At our music store, you’ll find music accessories that keep you playing in Barrie. Drat!! You’re playing a song and suddenly – pop – your string breaks! At Mojo Music Studio, we like to be prepared for moments just like this by having a music store to provide those last-minute items when you need them most. At “Strings and Things,” you’ll find a popular selection of music accessories that keeps you playing. Guitar Accessories – From strings to tuners, capos and cleaning supplies, our music store provides guitar accessories to make your playing time fun and enjoyable. We feature brand names such as Ernie Ball, Elixir, Martin & Co., Dunlop, GraphTech/Tusq for your acoustic, 12-string, electric guitars, bass, mandolin, banjo, ukuleles, resonators and even steel guitars. You can also find slides, cables, straps, stands and so much more. And our huge catalogue offers many more exciting items for you to choose from! Accessories for Other Instruments – We carry accessories for drums, brass and woodwinds too. Our large catalogue includes brand names such a Vic Firth, Zildjian, Vandoren and Hercules. If you are looking for something specific, let us know and we’ll find it for you. Small Instruments – Harmonicas, ukuleles, recorders, egg shakers and penny whistles can be found in our store, with many more products available through our catalogue. Come check out the fun surprises that we have in store. Stage Equipment – We have stands, mic clips, cables and much more on our shelves, downtown near the venue where you may be playing. If you’re setting up and realize that you’re missing something, call us to help you. String Changing Service – Treat your guitar, ukulele, mandolin, banjo or bass to a professional string change and thorough cleaning. Your instrument will thank you! Only $25 ($20 for Mojo students) plus the price of the strings. Professionals Program – As working musicians ourselves, Mojo Strings and Things identifies with the needs of the professional musician. Please contact us for information on our program custom developed for you! Monthly Specials – Click here to join our mailing list to hear about our great specials each month! Mojo Music Studio students who are taking lessons with us enjoy discounted rates at our music store, “Strings and Things”, so you can keep playing ‘to your hearts content. Whether you just need to pick up a few items or you want to take lessons in Barrie, Ontario, you’ll find everything you need at our music store. Come by or call today. We’ll see you soon! We want to give you our undivided advice and attention so please call ahead and let us know when you’d like to come by so we can make the time for your personally. When you rock out, you want everyone to hear! One of the best ways to make this happen is to set up an amplifier to carry your sound and make yourself heard. 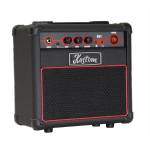 Amplifiers are different than standard speakers, however, because they are designed to pick up the weak electrical signal from an electrical guitar, acoustic guitar or bass guitar and produce sound through one or more speakers. 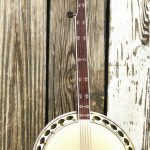 Banjos are a country music staple! Or even if you want to jam to some of your favourite classical, indie, or rock tunes, you can do it on a banjo. 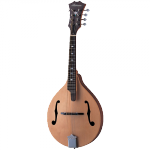 If you’re ready to learn the art of the banjo and you need the right gear to get started, at Mojo Music Studio, we invite you to come and check out our selection of banjos in Barrie, Ontario. The ukulele is a Hawaiian instrument that’s a member of the lute family of instruments.Generally speaking, ukuleles come with four nylon strings, and the tone and the volume of these strings depend on the size of the uke and the way it was crafted. 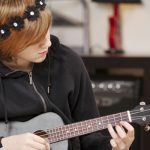 Today, ukuleles are growing in popularity, and many people in Barrie, Ontario are interested in finding a way to incorporate them into their music.